Completed the sale of 2.7 acres at Park Hill Village West to Delwest for construction of 156 permanently affordable apartments, providing residents with access to jobs, education and health services at a catalytic commuter rail station on the East Line. Celebrated opening of Avondale Apartments and commercial space with development partner Del Norte. These 80 affordable units were fully leased upon construction completion. Coming in spring 2015 will be the new Corky Gonzales Library. ULC finalized a property acquisition/disposition with RTD at Sheridan Station on the W Line of FasTracks, maximizing development opportunities at the station. Yale Station land assemblage for additional development opportunities including affordable housing and commercial space. Downing Nonprofit Tower preserved 130 jobs in the Capital Hill neighborhood, only 1 block off of a high frequency bus line. The Social Enterprise Foundry, a 44,000 square foot warehouse in Sun Valley, brings 4 nonprofits together to collaborate on environmentally missioned work near 2 rail stations on the Central and W Lines. 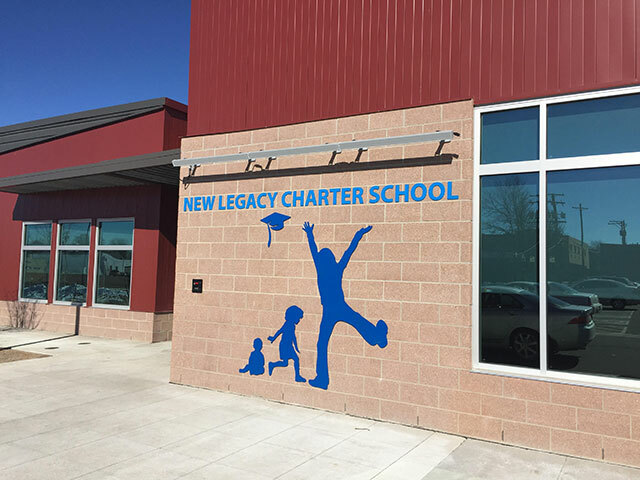 Dayton Legacy is the future home of the New Legacy Charter High School and preschool for pregnant and parenting youth, located 1 block from a high frequency bus line in Aurora. ULC proved out the $15M Denver TOD Fund, allowing for a successful expansion and creation of the $24M Denver Regional TOD Fund, managed by Enterprise Community Partners. ULC raised over $25 million of new loan capital to support our real estate growth. This is in addition to the newly created Regional TOD Fund which specifically supports affordable housing acquisitions at transit stations. 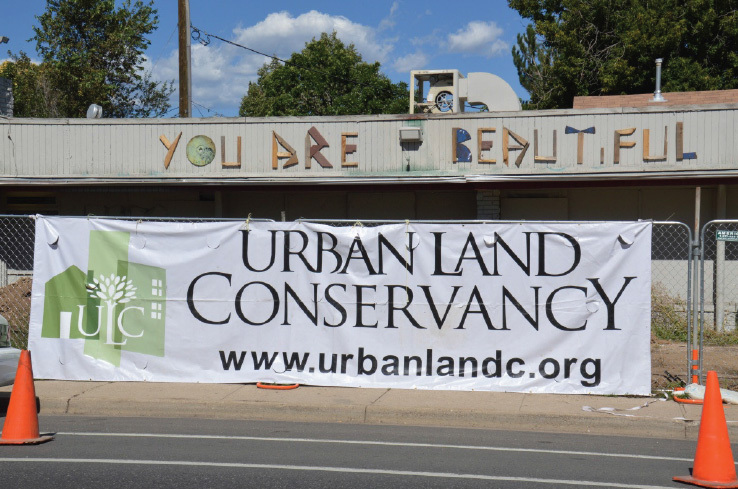 ULC partnered with Calvert Foundation to launch the Ours to Own Denver campaign, where local residents can invest in the community they love through ULC real estate and local small businesses. ULC successfully acquired property in Westwood based on community input! Upon acquisition, the old dangerous building was demolished, and is now being activated with a new futsal court and other amenities on the site for the neighborhood to enjoy. Holly Square celebrated the completion of Phase 5 of development with a new Walkway to better connect the property to neighboring assets. Plans also began for a new overlook that will be used by the Boys & Girls Club and community for performance and educational purposes. ULC was successful in leading conversations and getting commitment for pedestrian access improvements in 2015 that will complement the next development. ULC sent out Request for Statements of Interest (RFSI) in December for Phase 6, the redevelopment of the Peace courts. ULC successfully began our first vertical construction with new partner New Legacy Charter High School. This new school will educate pregnant and parenting teens as well as provide a preschool. This incredible project is ULC’s first investment in Aurora. Critical for many of the 15 nonprofits that call Tramway Nonprofit Center home, was the creation of new meeting and training spaces with a centralized break room and updated restroom facilities. The new “Hub” better connects nonprofits, allowing for new opportunities for collaboration. Provided leadership in creating the “Early Warning Data System” to help preserve existing affordable housing along Denver transit corridors. As the region works to address the creation of new housing, it is essential that existing affordability is not lost. Worked with the Home Builders Association, Piton Foundation, Housing Colorado and Mile High Connects on the most comprehensive study on the economic impacts of affordable housing at Metro Denver TODs. Both the Early Warning Data System and Economic Impact studies have helped bring new affordable housing funding resources to Colorado.